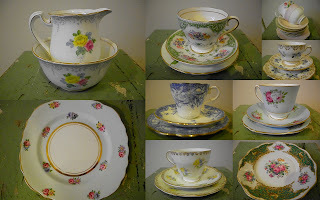 I thought I'd share a few of my vintage china pieces, just because I like them. I was dusting around them today and thought what a great chance to get them down and appreciate them for a few minutes. I've never discovered Quinces until a trip down the Island to my parents. They have a laden tree, and I had some yummy Quince Jelly and Quince paste that Mum made so I squirreled a few away and got preserving once we got home again. I chose to make mine in the slow cooker, mainly as with two smaller children around I can't spend all day stirring a pot on the stove and also because I can't stand the sugar splatter mess. This was was just so easy... Cook the quinces skin and all for about two hours, cool slightly then peel the skin off and cut out the cores (pretty mushy so it's more like extract the cores). Then measure the amount of fruit pulp and add an equal amount of sugar. Cook away in the slow cooker again until a deep change in colour (about 3-4 hours later). I then spooned into muffin tins and left to set. Serve with cheese and crackers. Amazing!!! I've frozen most of the portions. So so divine. Easy to make, and awfully good, lovers of the chocolate caramel combo will go weak at the knees. Serve cold as a sweet treat or warmed with ice cream as an after dinner delight. Line a sponge roll tin with non stick baking paper. In a medium saucepan melt 150 g butter. Stir in the sugar then remove from the heat and add the chocolate and vanilla. Beat in the eggs one at a time then sift in the flour and cocoa mixing well after each addition. In a small saucepan melt the 55 g butter with the condensed milk and syrup. When melted and combined remove from the heat and pour into a jug. Pour some of the chocolate mixture into a greased sponge roll tin then alternately pour in some of the caramel mixture, so the two are randomly spread about the tin. Use a meat skewer to swirl the caramel into the chocolate mix. Bake at 180° for around 30 minutes. 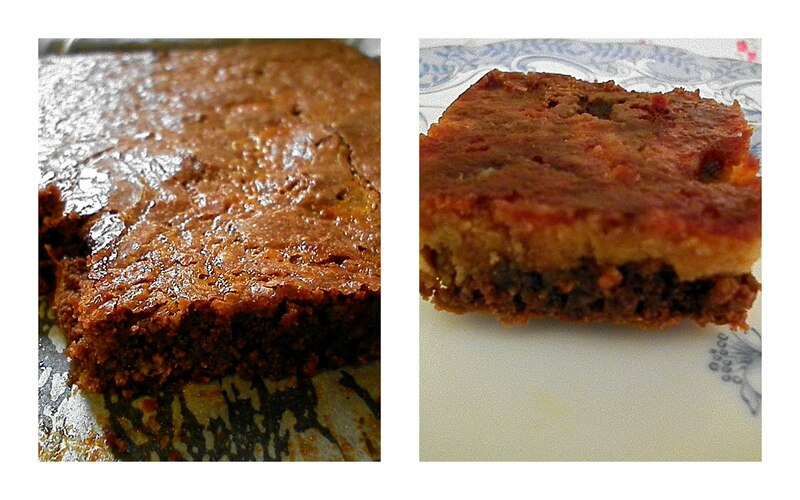 A knife inserted into the cake should come out clean but the texture should still be slightly fudgey. Allow to cool before cutting. My girls have little colds at the moment, and my throat started to scratch a bit today so I made a hot herbal tea of Basil, Sage and Lemon Balm. All those Anti bacterial/Antiseptic properties in those herbs should knock any germs out, plus it tasted yum too. What a lovely post! Your china looks amazing. And as for that brownie, oh wow! I can't wait to make it tomorrow. Yum!